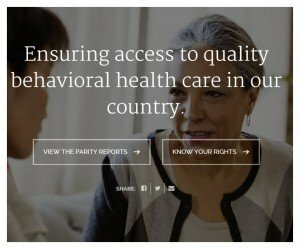 We ran across information about a new website that is drawing attention to the issue of mental health parity and that is dedicated to helping people get the behavioral health treatment they need – Paritytrack.org. The essence of the federal law that requires mental health parity in insurance coverage is not that mental health needs to have a certain level of coverage but rather that whatever the level of medical coverage you have under your insurance your mental health coverage has to be equivalent. In other words there can’t be different deductibles, different maximum number of visits, different maximum amounts paid, and, most importantly, the process of reviewing requests for coverage has to be roughly comparable for mental health and other health treatments. “It’s really about equity and it’s not necessarily about, ‘you have to cover these things,’ but it’s about ‘these things have to be equal’ and about really viewing behavioral health as equal to all other types of health care,” said Luke Butler, a fellow with the Scattergood Foundation, the project’s co-creator. A very common parity law violation has to do with long wait times to see a behavioral health provider. 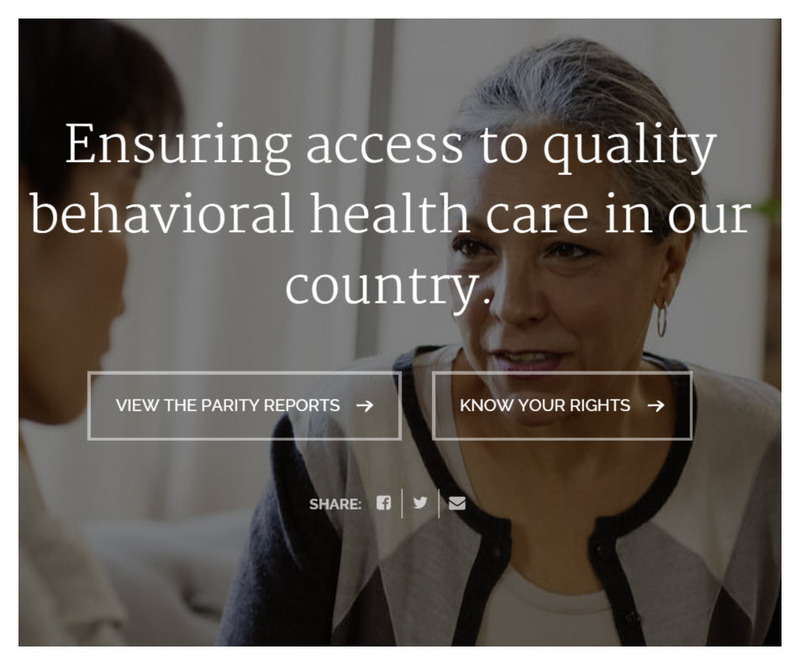 “So in parity, your wait to see a behavioral health provider shouldn’t be any longer than your wait to see a physical health provider,” said Alyssa Schatz, director of advocacy and policy at the Mental Health Association of Southeast Pennsylvania. “But what we’re actually seeing is that insurers are often providing very inadequate reimbursement for their behavioral health providers. So this means that fewer providers are able to contract with them, and consumers often have long waits to access care,” she said. The new website is help people work on parity violations within their state since the law requires that compliance take place within each state – in other words the task was turned over to each state’s insurance regulators. And not surprisingly many states don’t know how to do that yet. In its current “beta” formed the website offers resources on parity law in five states, including California. A complete version of the site will launch later this year.